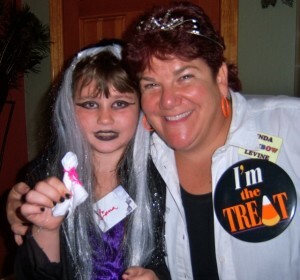 You are always the treat at a Girls’ Creativity Club event with Linda “Rainbow”Levine. Cloaked in the fun of Fall and Halloween, we reinforce the girls’ club values of inner beauty, strength of character and the importance of mutual support and friendship skills. To the girls, it’s a chance to get silly, wear costumes and to take the ordinary and make it extraordinary! E-mail me for a flyer: Linda@surpriseenterprise.com! Register today! Halloween event is $30. If you sign up for Pre-Halloween and the Pre-Valentine’s day together it is $50 for both. Please Download the form, print and fill it out and send to Linda Levine. Thanks!